This week’s exclusive story is told by Sarah. Sarah Guthrie, the daughter of Wing Commander Branse Burbridge, talks about her family’s choice to sell her father’s WW2 medals in a bid to cover the cost of his on-going care. She explains that they were not forced into the decision but knew that it was the best way to proceed to ensure that her father resided in a care home he liked, and the family trusted, for his remaining years. My dad has had Alzheimer’s for about 10 years now and initially my mum had been caring for him. Eventually it got to the point where we knew that she couldn’t manage his care by herself. The particular nature of my dad’s Alzheimer’s meant that he used to wander a lot and it was difficult to manage that, we lost him several times which became increasingly stressful for my mum. So we began to look for a care home nearer me, in Hertfordshire, somewhere she would be happy to move to with my dad and where both my parents’ needs could be catered for. My mum was capable of looking after herself and so we wanted a care home that would provide both sheltered accommodation for her and secure residential care for my dad. My parents needed to be together as much as they could. They had been married for 60 years before my mum died and they were very close. My family knew right from the start that the cost of my parents’ care home would be an issue. They had very little savings and we knew that when we moved them into the home we would have to have a strategy. 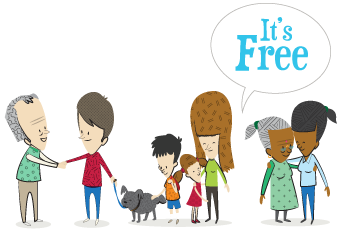 In the first instance we used their savings supplemented by their pensions and my mum’s social benefits to pay for their care and we were able to manage the funding like this, literally for the last 4 years. Most of my mum’s care costs were paid out of this. In our initial interview with the care home they said that once all the funds were gone they would ask social services to step in to provide. It becomes a matter of process really. We paid as and when we could and when the resources ran dry that’s when the plan changed. We had known all along that my dad’s medals, his war history, would be of significance and of great value. We’ve been in negotiation about selling his medals for the last 9 months. We were guided by the auctioneers about the right time to auction the medals but we weren’t told that it would hit the headlines. We heard about it when the press began to seek us out. We never planned nor indeed wanted to publicise our story with the auction of the medals. It’s been completely taken out of our hands becoming a big news story and that was never our intention. To put the record straight we didn’t seek or want the publicity and in a way it’s made us all rather uncomfortable. The care home has been concerned too about my father’s protection from the media. We’ve had to really make it clear that we don’t want public support because there’s been lots of interest and people offering to raise money for us so that we don’t have to sell my father’s medals. Dad was very fortunate that he was honoured for what he did in the war. Our family have those medals that we can sell and we want him to benefit from them, we don’t want to benefit at all. If he had died and we had kept them, we would’ve been in a dilemma. It’s my father whom we value not his memorabilia. We always knew that he didn’t have sufficient funds to cover his care. What has happened, which we are in favour of, is the auctioneer’s amazing write-up that he has penned to accompany the sale of the medals. In it he gives my dad the credit that he never wanted or sought, but that he deserves. We’re hoping that the auction will raise as much as possible because we hadn’t anticipated that my dad would live for so long. Physically my dad’s quite healthy and he’s still a joy to be with. We have a lot of laughs together although sometimes I don’t understand quite what he’s saying. He’s just had a birthday and he’s 92 now, he could live on for who knows how long. Obviously it’s sad that he’s gotten to this point, that he once was so active, but that’s what life is all about really. Although the publicity is not what we wanted our feeling is that if dad’s story raises the issue of elderly care and the cost of care homes in the media then that makes everything worthwhile, hence why I’m willing to talk to organisations such as When They Get Older. Read Sarah’s tips for choosing a care home in “Help & Advice”. 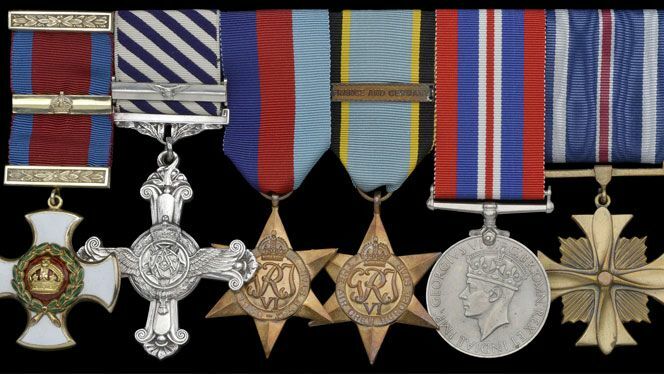 Burbridge’s medals were auctioned by London auctioneers Dix Noonan Webb on the 25th and 26th of March 2013 and raised a total of £155,000 for his family. This substantial amount of money will hopefully cover Branse’s care fees for the foreseeable future.